Can’t decide what to eat on a Saturday night? 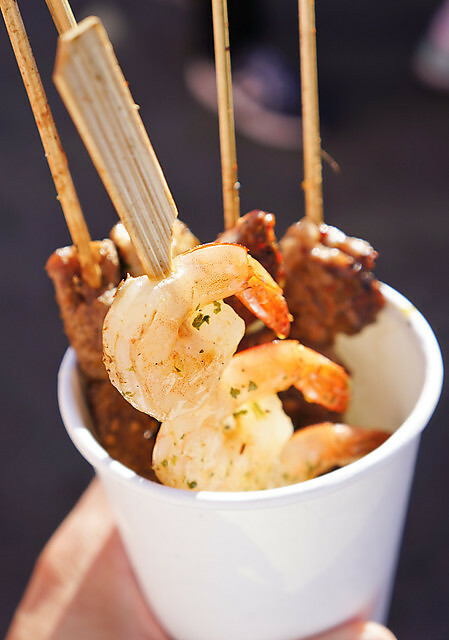 Well fear not because your indecision can be solved by a trip to the Richmond Night Market where the abundance of food stalls from around the world will meet all your taste buds needs. 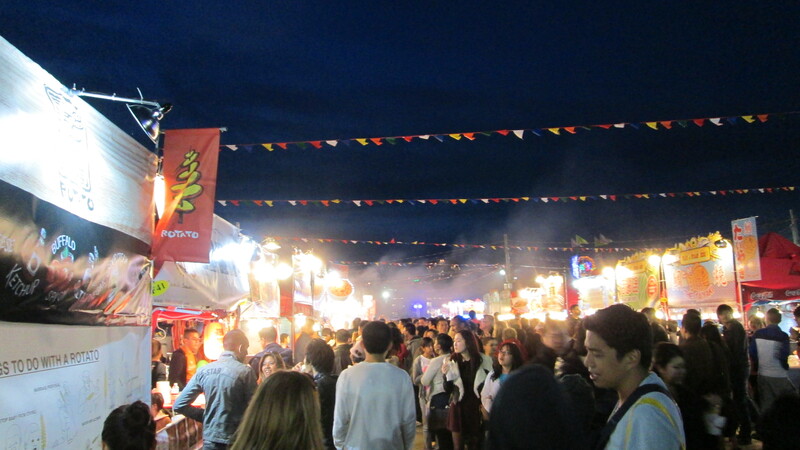 The Richmond Night Market is open from May to October every Friday and Saturday from 6pm to midnight, and Sunday nights from 7 to 11pm. The market is located at 8351 River Rd, just off the junction of Bridgeport and No. 3 Road in Richmond, BC. 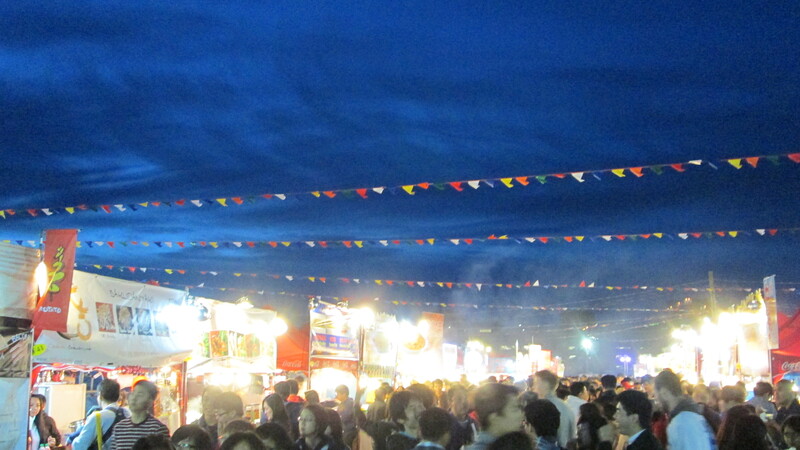 Why Visit Richmond Night Market? 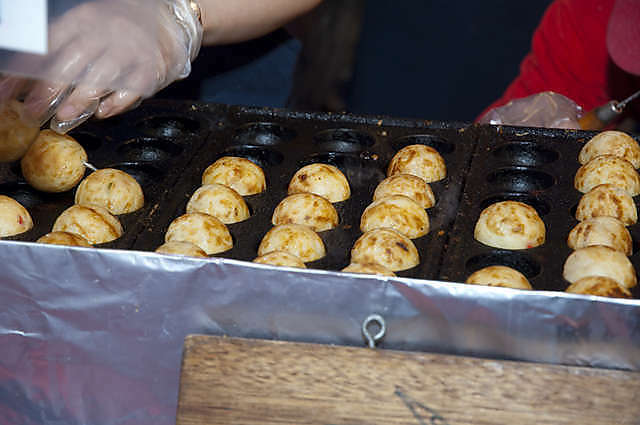 – The main reason everyone visits the Market is to try out the huge variety of food offerings from all over the world. We adopted a time-consuming reconnaissance approach which involved walking 200m in a zig zag fashion to weave through packed stalls to view what was on offer before deciding on our top 4 tasty treats…. 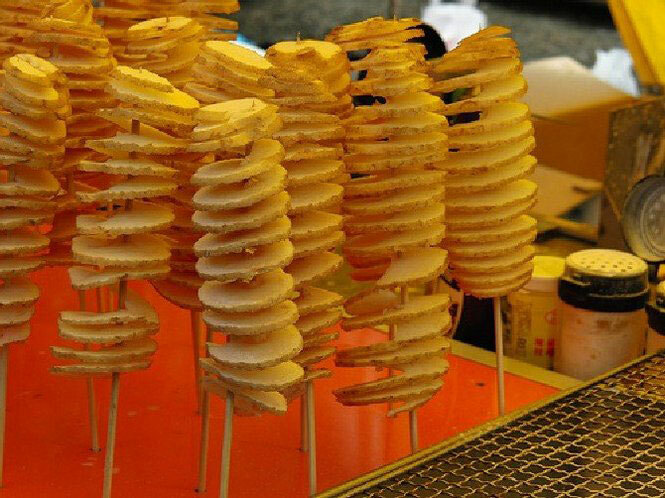 Rotato – a finely cut, spiralled, deep-fried and seasoned potato on a stick which is amazing to watch being produced, and even better to eat. Wait time for this popular snack was around 20 minutes, and cost was around $5. 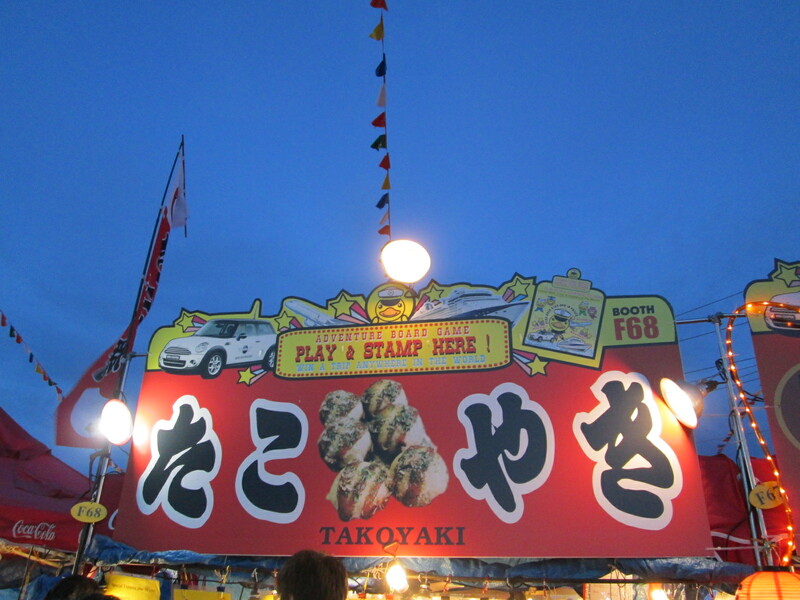 Deep fried Seafood Takoyaki Balls – sold in packs of 6 for $5 these were very tasty and also piping hot with a 2 minute queue. BBQ skewers from Chef James – there are a few alternatives in the BBQ category but we decided to go with Chef James as he had the biggest flames and grill! 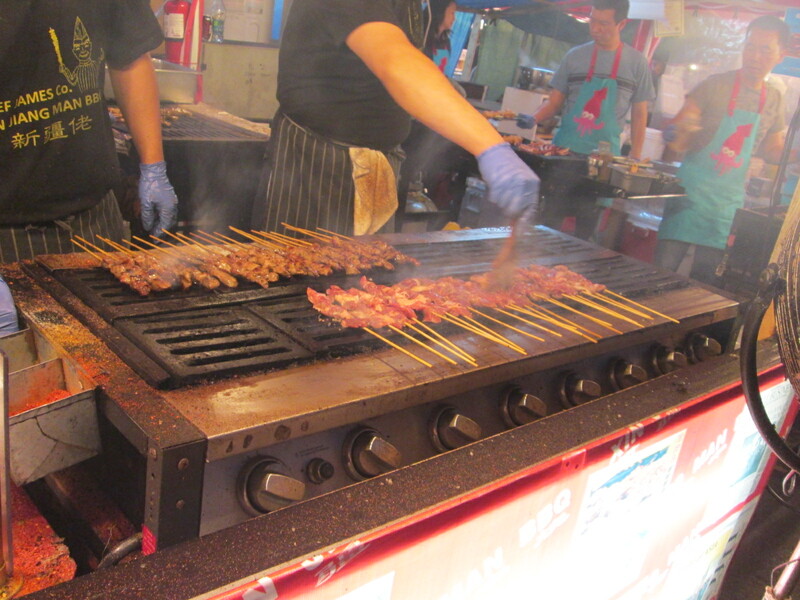 Lamb, beef and prawn skewers were all excellent! Queue time was around 10 minutes for this $6 snack. 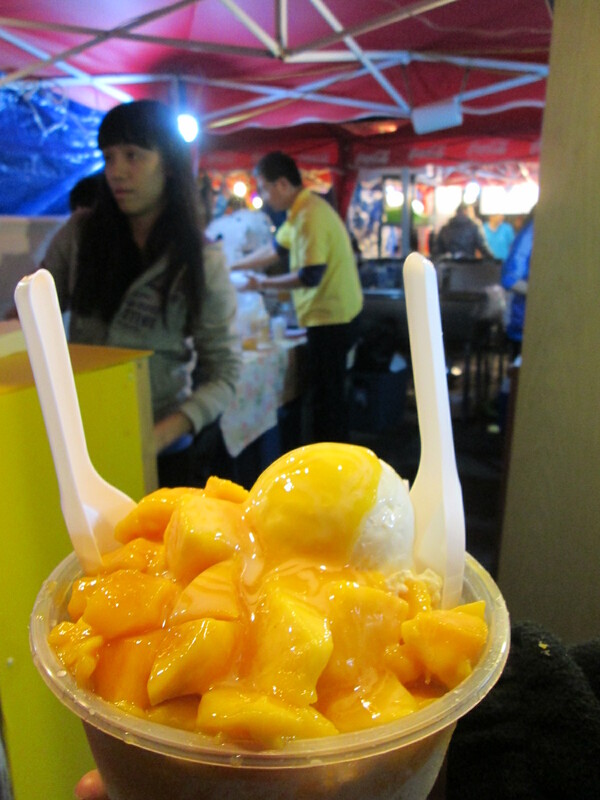 Mango Shaved Ice from Mango Yummy was an excellent way to finish off the evening with a huge portion for a reasonable $5.75…we were still eating it 20 minutes later when we got back to the car! – For an idea of all the snack options available, check out this food photo gallery from Urbanspoon. 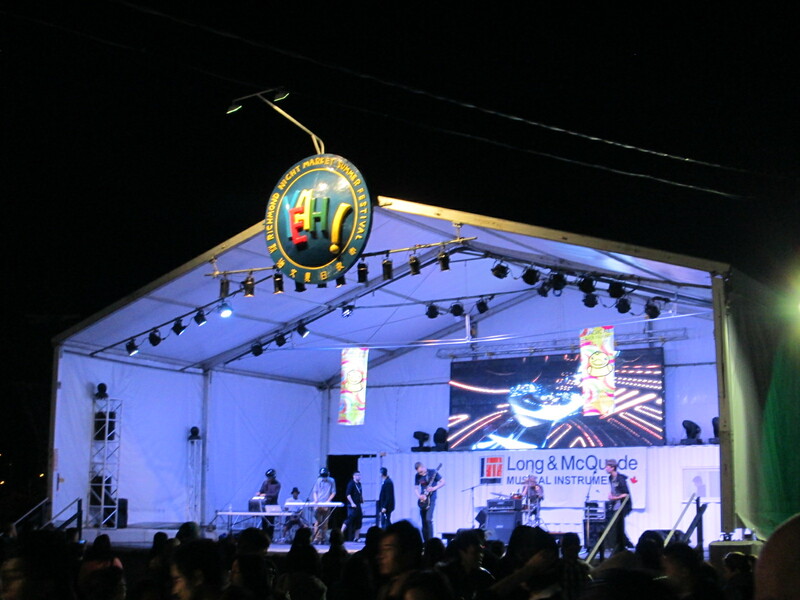 – The market also has a large stage featuring live entertainment who compete with some of the 90s dance classics that are being pumped out through the PA system. 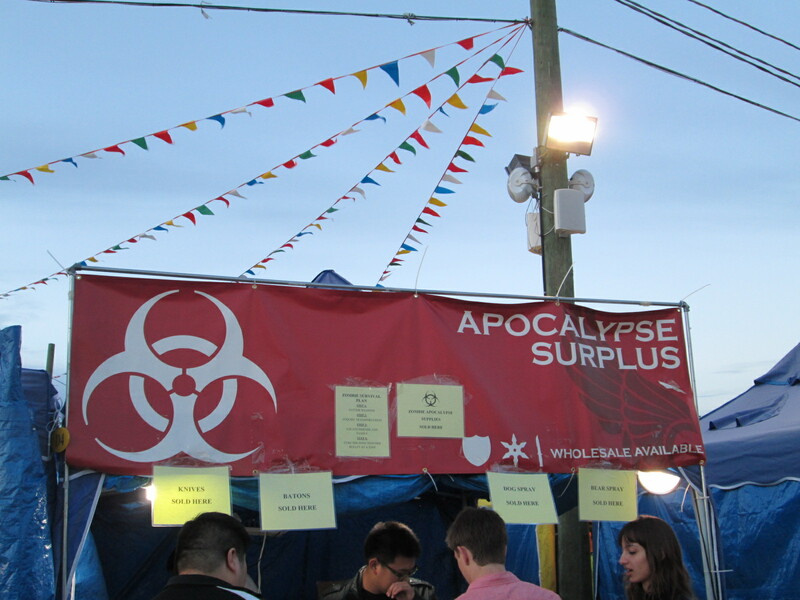 – In addition to food stalls, 50% of the markets “retail space” is dedicated to non-food pitches selling everything from the usual iPhone covers and pet accessories to the less than usual samurai swords (these were surprisingly buy one get one free) and Apocalypse Surplus survival gadgets! 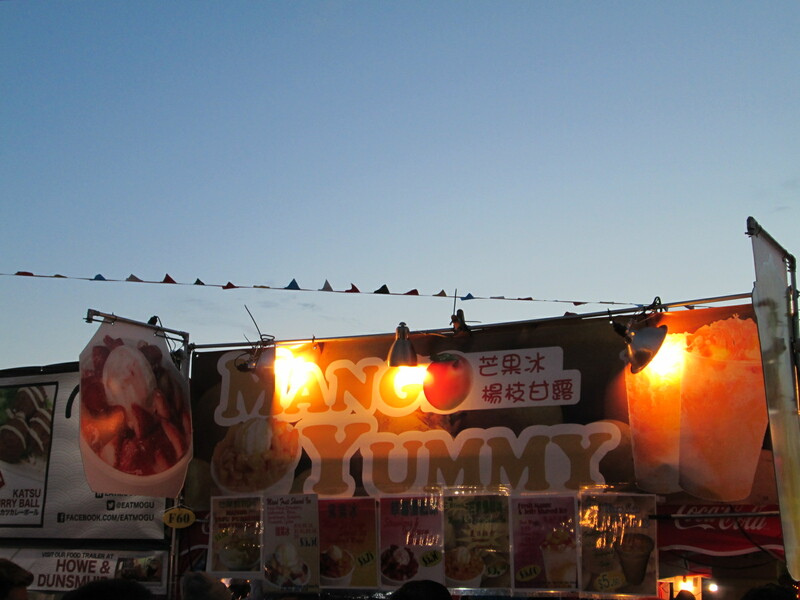 – The Richmond Night Market has a token $2 entry fee, and it’s free for kids under 10 or seniors over 60. Frequent attendees can obtain a zoom pass which entitles holders to a number of free admissions. 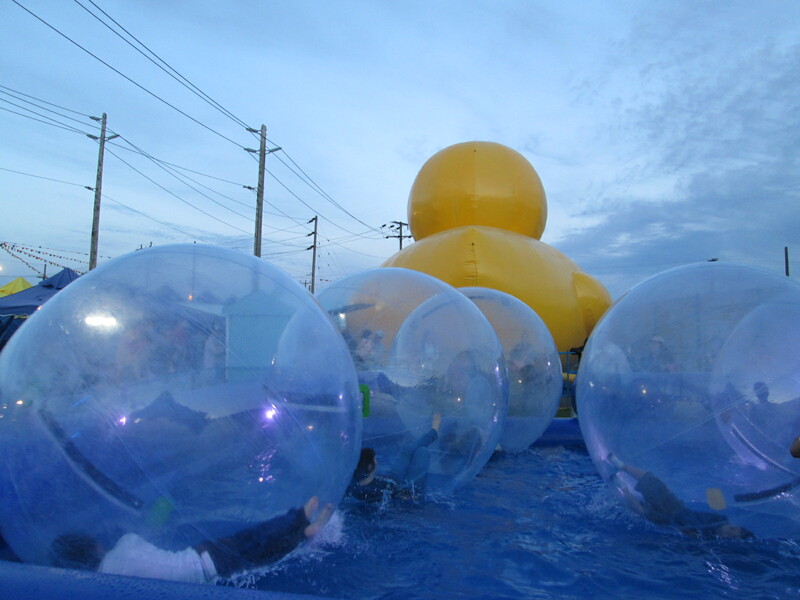 – There are fun games and activities such as “pond” zorbing! 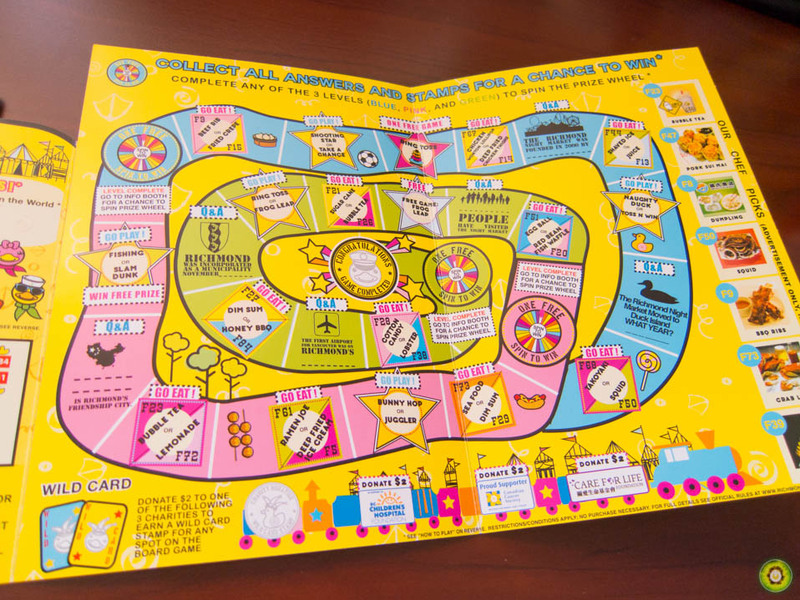 – The Market offers a Magic Duck Island Adventure Board Game with apparently $100,000 worth of prizes. Given we had no idea how to play (we think it was like monopoly) it might be worth entering as contestant entries could be low! – The biggest hurdle to an enjoyable time at the market will become apparent as soon as you decide to drive there! While the 1500 car parking spaces was during our visit sufficient supply to meet demand, the access roads into the site are not. It took us approximately 45 minutes of queuing on the local roads before we could park the car. Our advice, go early or take the Skytrain. – The market is hugely popular which can mean some big waits for the more popular food items on offer. 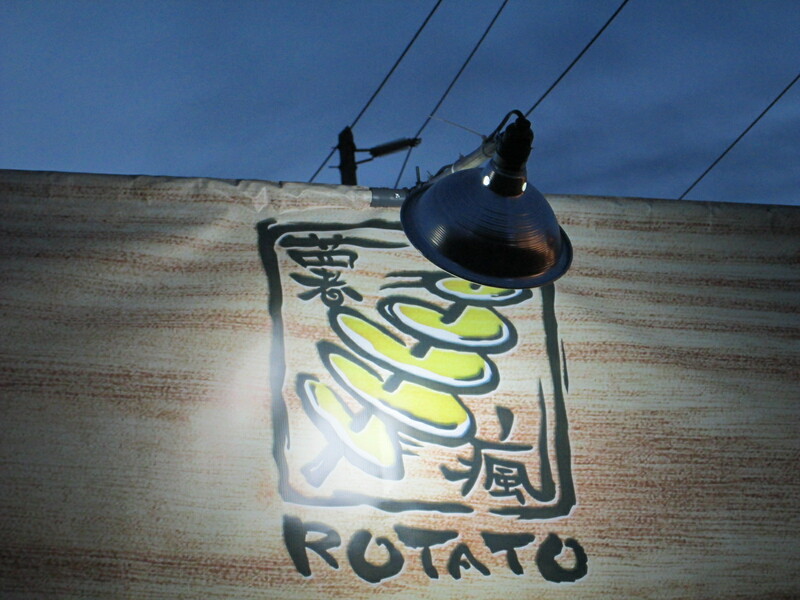 The Rotato was a 20 minute wait so we quickly developed a survival strategy of eating our recently purchased food in the queue for our next treat! – With over 800,000 visitors in 2012, this is one of North America’s largest night markets so if you don’t like big crowds and tight space come early or late as it gets very busy especially around the food stalls. – For anyone wanting a beer to quench the thirst after a long week at work, you will have to wait longer as there is no beer tent! 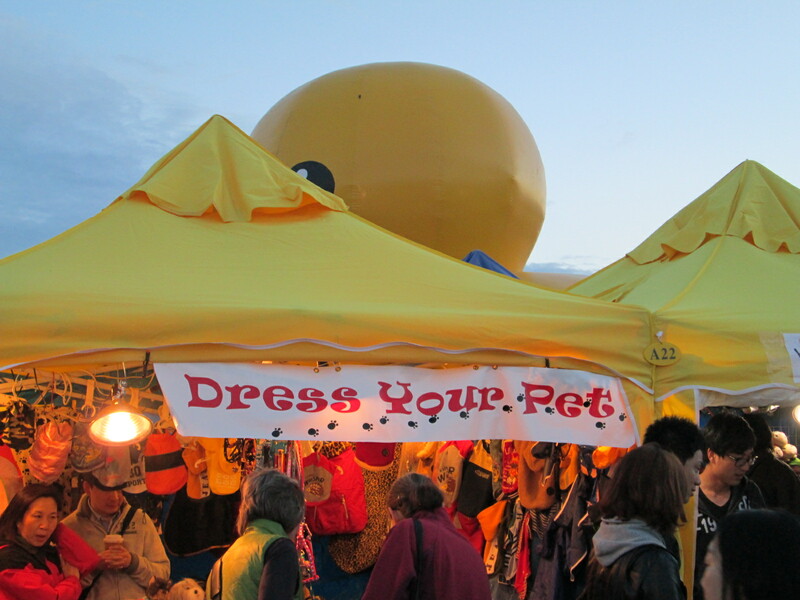 – Although ATMs are provided on site, bring cash to avoid the big queues as most stalls are cash only. – No Richmond Night Market visitors are allowed to park at River Rock Casino Parkades at anytime, something that looks strictly enforced by some big looking security guard types! – Lastly, make sure you don’t have dinner before you go, otherwise you will be too full to enjoy all the tasty treats on offer! In Summary, a reasonably priced evening out which will reward your taste buds, just make sure you take the Skytrain there!